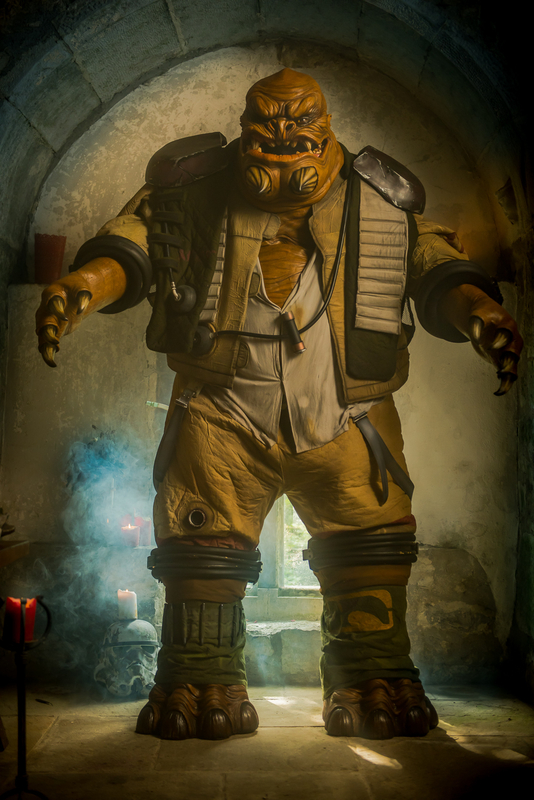 This is my Grummgar costume from Star Wars The Force Awakens. 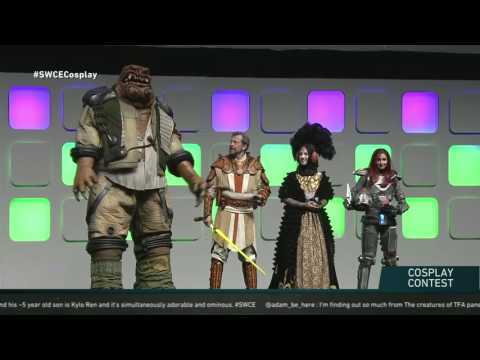 He stands 9' tall and the costume weighs around 70kg (155lbs) and is extremely hot!! 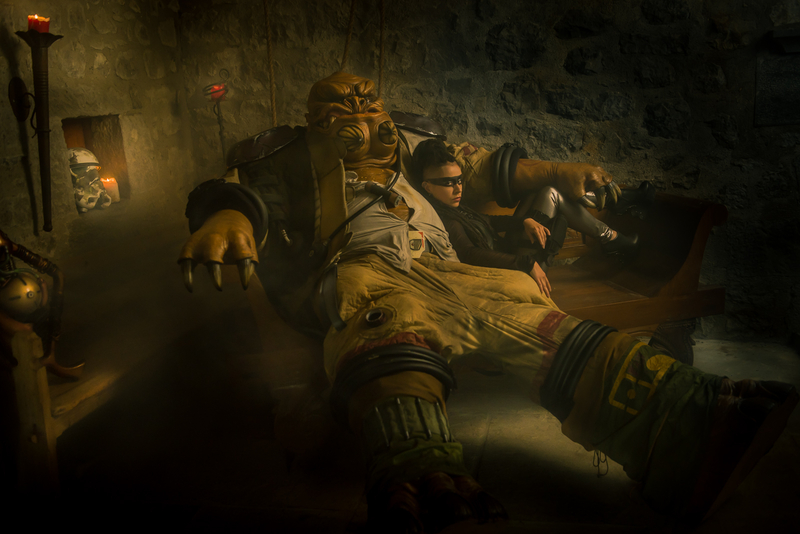 The original creature in the movie was only seen sitting down and was operated as a puppet with 3 operators. I wanted to bring him to life and actually see the mighty Grummgar walking around. He has articulated feet built into adapted stilts and also has articulated claws that are perfect for holding some inter-galactic brews in Maz's Castle. The head is built onto an underskull that when the wearer nods it articulates the mouth and jaw. Just to finish him off I added a real time voice changer and a light -up life support system on his back. As you never get to see his back in the movie due to him sitting down. I had to make all those pipes go somewhere? !